Cute and cozy, next door is a private one bedroom cottage with open floor plan kitchen and living room with full view of the garden and beach. Rented separately from the house, it is the perfect spot for grandparents or extra guests. The ultimate in seaside living days on the beach and nights watching the sunset around the fire. Our choice location allows you to easily explore Parksville's natural beauty, spas, shops and golf courses. Stroll on the beach where the tides recede over a kilometer allowing you to explore and build sandcastles. The swimming in Parksville Bay is the best on Vancouver Island. **Weekly rate DOES NOT include towels or maid service. Mid-week Maid service, $30.00 upon request. For daily towel service, add $60.00 per week. "Great memories are made here." 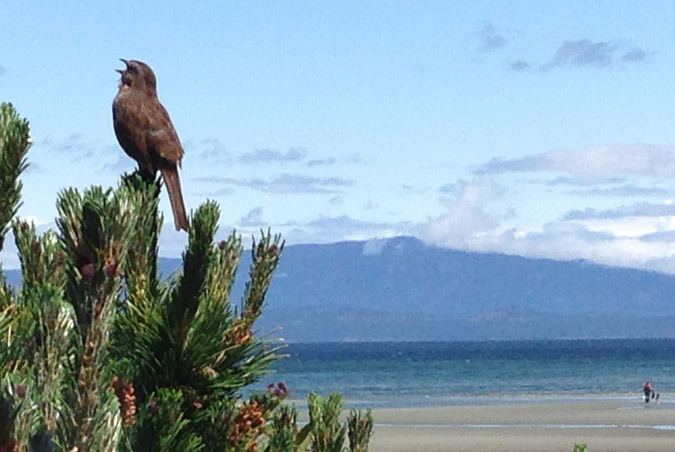 "Very well done and we certainly will stay at the Sea Edge Motel whenever we return to Parksville. The view from our room was great, and we were amazed how fast the tide goes out and comes in and how far it goes." "Thanks so much we really enjoyed our stay at this beautiful spot. It's a little jewel and everyone was so friendly"
"Still the best stop on the Island." "A wonderful 4 generation holiday reunion from 1yr old to 80 yrs old"
"I just love it here, nice unit; clean, comfy and friendly staff. Will be back!" "Just a note to let you know this is one of cleanest, best equipped and most comfortable rooms we have ever experienced. Thank you for your thoughtfulness. The view is beautiful and it was very quiet." "Thanks for the nice room with a fantastic view." "2nd time here. Very friendly"